It is from the hallway we achieve the first impression of the house’s interior and, of course, its owners. Therefore, it is very important to think over the design and organization of this zone. After all, a mini-room at the entrance is a limited space, where functionality and aesthetics must be perfectly balanced. One of the faithful assistants in the design of this part of the housing with the least time and material costs is the multifunctional and versatile closet. 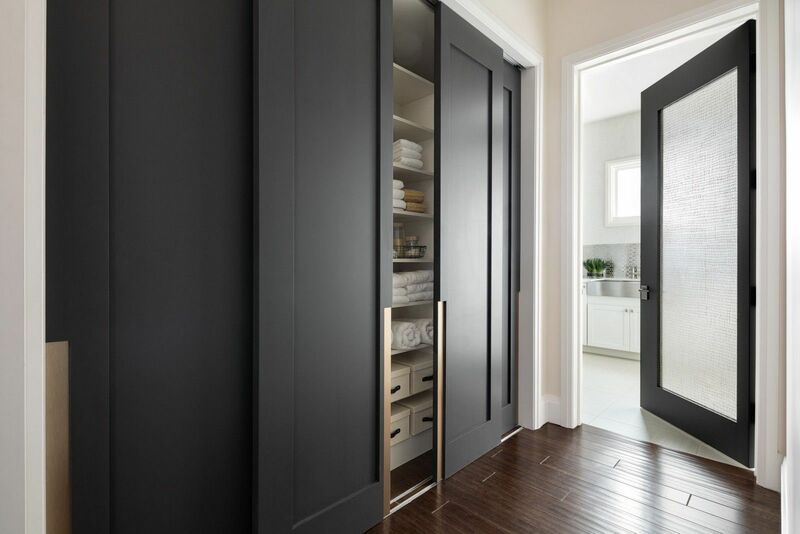 We can offer to your attention a small compilation of modern closet types & variants for hallway interior with photos in this step-by-step exploring features article. The closet can be of cabinet or built-in type. Unlike the usual cabinet, the doors of the wardrobe move aside, but do not swing open. hide architectural flaws – cover a niche, a pipe or a defective wall. In addition, you always have the opportunity to order a model of the closet to fit your anteroom: plan the placement of hangers and shelves, staff boxes and rods in accordance with the needs of all household members. MDF – fibreboard – harmless, environmentally friendly material, more durable and resistant to moisture. Such a closet will last a long time, but at a price will cost more. Laminated or veneered particleboard – chipboard with high characteristics if we speak about the strength. This material is easy and convenient in care and maintenance, chipboard is cheaper than other materials. 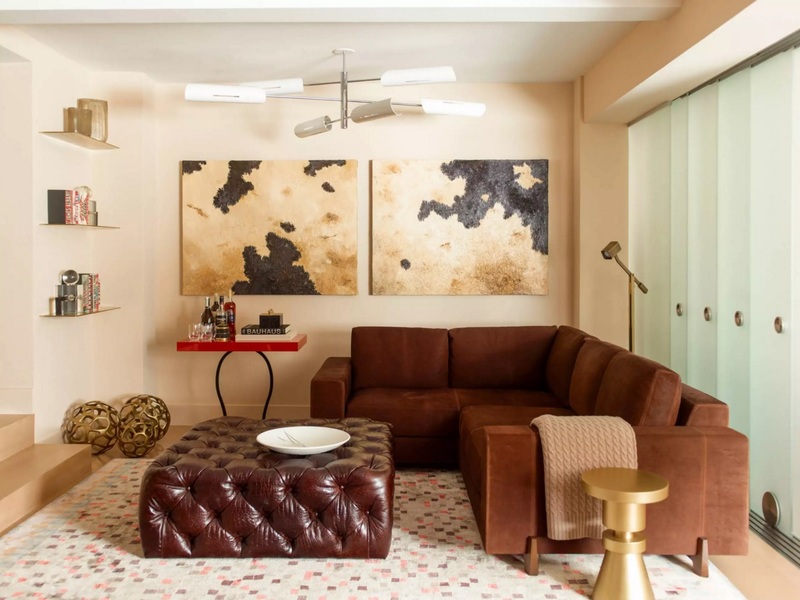 Choosing the right material for the manufacture of such furniture in the hallway, you should determine its size, which should match the dimensions of the room. Thus, the height of the cabinet is limited only by the ceilings of the hallway. However, if the ceiling is of stretch type, it is important to provide a small gap between the cabinet and the ceiling, at least 50 millimeters. Advice! The most convenient optimum depth of the cabinet is 60 cm, when the bar for hangers is placed in a standard way and the cabinet itself will eventually be more spacious. For a narrow hallway, it is better to reduce the depth of the closet to 40 cm using end bars. 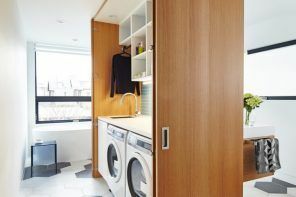 It is important to remember that the built-in wardrobes can lack a top panel, a floor, side or rear wall, and the structural elements as well as all the filling can be attached to the wall itself. Therefore, it is necessary to understand that the decoration of the walls should not be made of plasterboard, because this material is soft enough and cannot withstand loads. Also keep in mind that the built-in closet will be placed permanently and it will not be possible to move it to another room or remove it, because such cabinets are designed for a specific section of the room or niche. The weighty advantage of any wardrobe is certainly its door. Sliding mechanism, unlike swinging one, does not require additional space, while allowing the most rational use of all needful meters of the room. A large number of finishes, styles and color solutions represents the possibility of the cabinet organically fit into any interior. The most popular and actual variants of design of the facades of sliding-door wardrobes are constructions on 2 or 3 doors. In such cabinets, the doors move to the right and left with the help of fastening rollers traveling along the “rail” inside the metal frame, and the door with the frame can also be moved along a special monorail. Such a mechanism implies the presence of aluminum or steel components. Important! 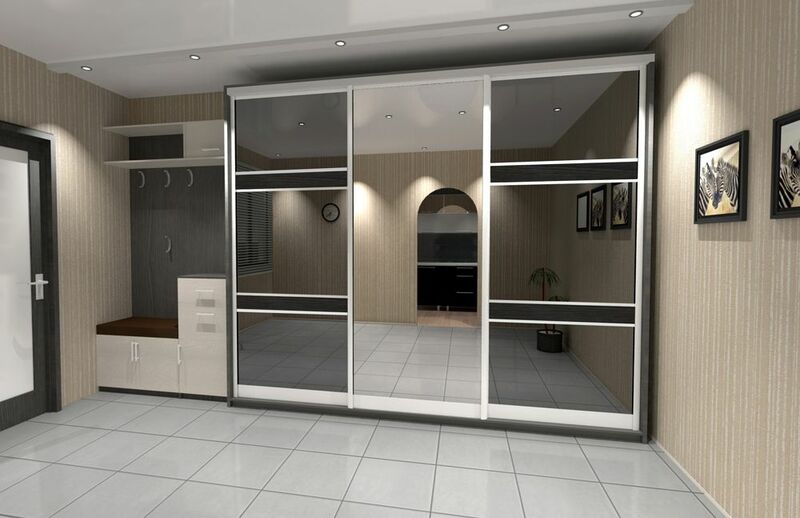 Pay attention to the width of the sliding doors, it should be no more than 1 meter. The wide door is not only inconvenient to move, but it is also possible to rapidly disable accessories and guides, because such a design has a rather high weight. decorative solid panels without a decor make interior heavier. As for the color palette, it is obvious that in a small corridor it is better opt for a light-colored wardrobe, and vice versa: the facades of dark deep tones are better suited for spacious hallways. hangers for belts, scarves and ties. With proper choice of the design of the cabinet for your hallway, you will provide a safe and convenient place for storing clothes and shoes for all seasons.